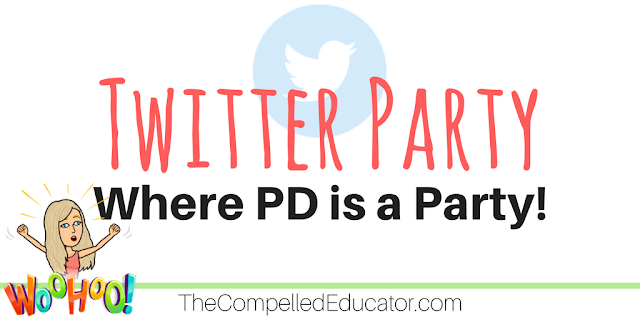 The Compelled Educator: How to turn PD into a Party! When teachers came to the party, I told them about the different activities in the room and let them loose! 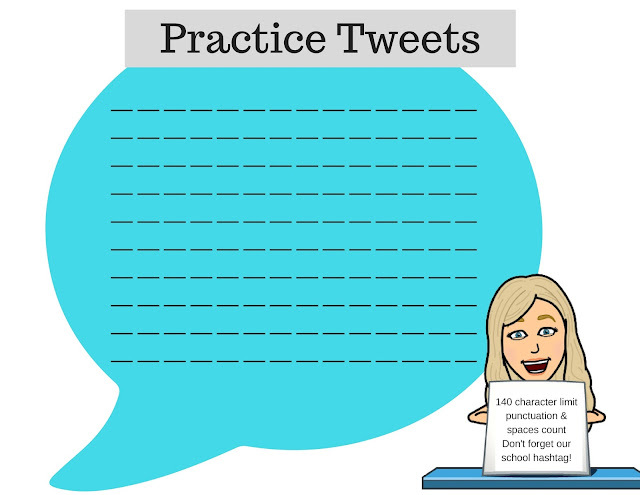 One activity that teachers could complete was a twitter challenge. 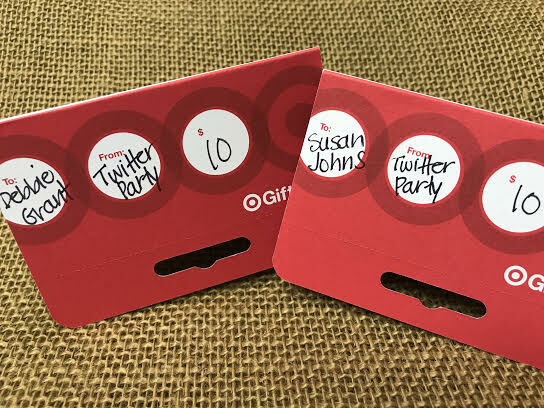 Each completed challenge went into a drawing for a $10 gift card from Target. There was a lot of great feedback from this activity, because it "forced" teachers to interact with the app and other twitter users. We had a station where teachers could take selfies and post live with props! What fun we had with that one! We have two large screens in our library's Community Room where the party was held. 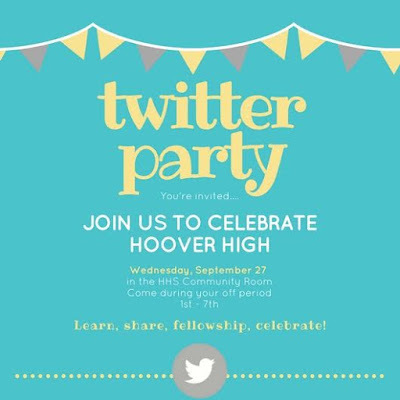 I used showtweets.com to highlight the tweets that our teachers were posting with our school hashtag, #hooverpride. 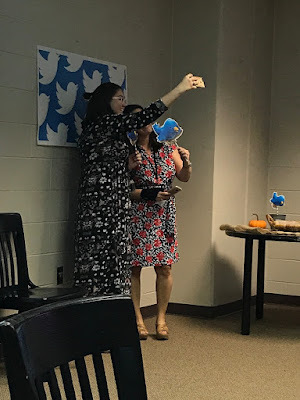 In another area of the room, teachers posted their twitter handles so that we could all follow each other. 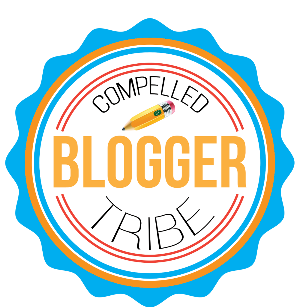 Looking for some new educators to follow? There are some good ones on that wall! New for this year's party were Twitter Exit Slips. I used the Free Printable Letters from Shanty 2 Chic to create the banner (that I simply taped to the wall). Teachers recorded what they had learned on sticky notes and posted them on the wall below the banners. Notice the personalized sticky notes? They're easy to do. I've been a fan of Jen Hadfield and her website, Tatertots and Jello, for a long time. I used her instructions to create these DIY post-it notes. At the table with the Exit Slips (DIY Post-it Notes), I also provided stickers that read, "I tweeted!" along with our school hashtag. 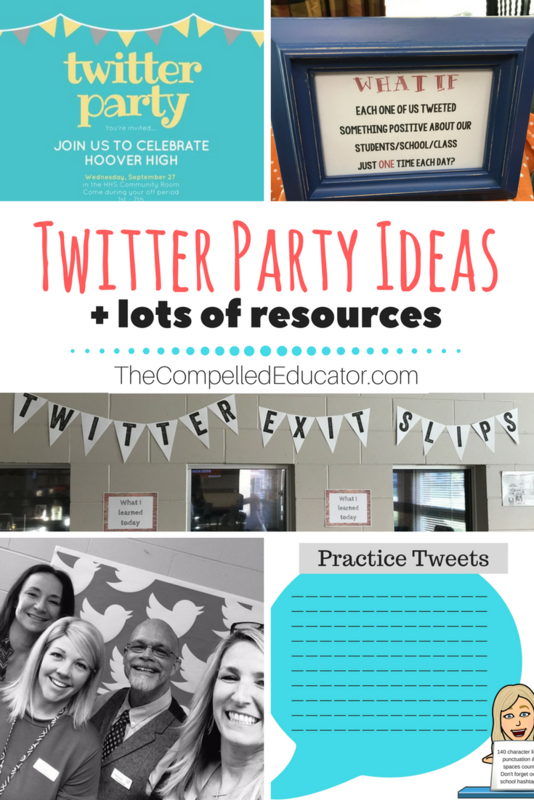 No Twitter Party would be complete without cookies! A little Halloween candy never hurts either. Once teachers finished the Twitter Challenge, they could get started on their Twitter Bingo card. Twitter Bingo is a fun way to find a purpose for twitter, get in the habit of tweeting, and celebrate the awesome things happening in your school. I love this quote from one of our teachers. She said it while she was at the twitter party. Do you ever feel this way? All in all it was a fun day of learning and celebrating each other! 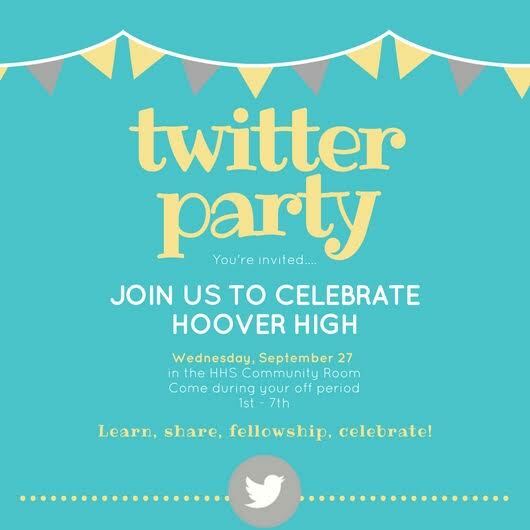 Do you host a social media event/celebration at your school? I would love to hear about it! 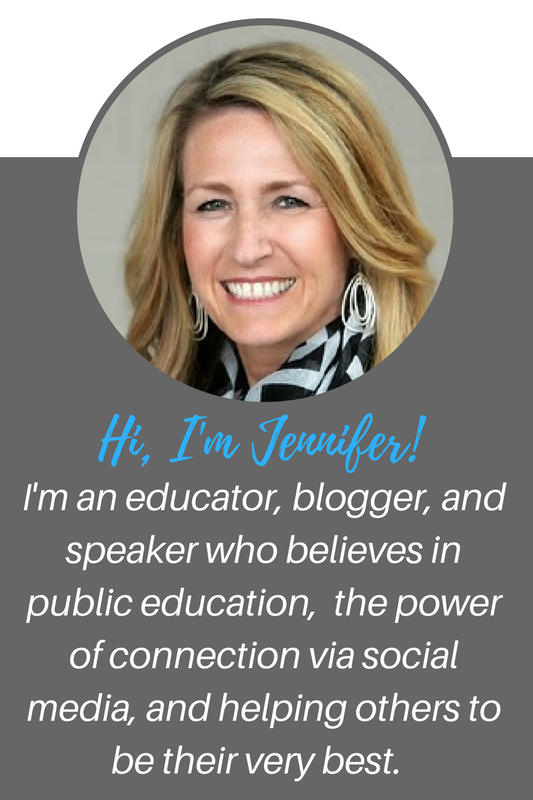 tweet me @jennifer_hogan or share in the comments below! 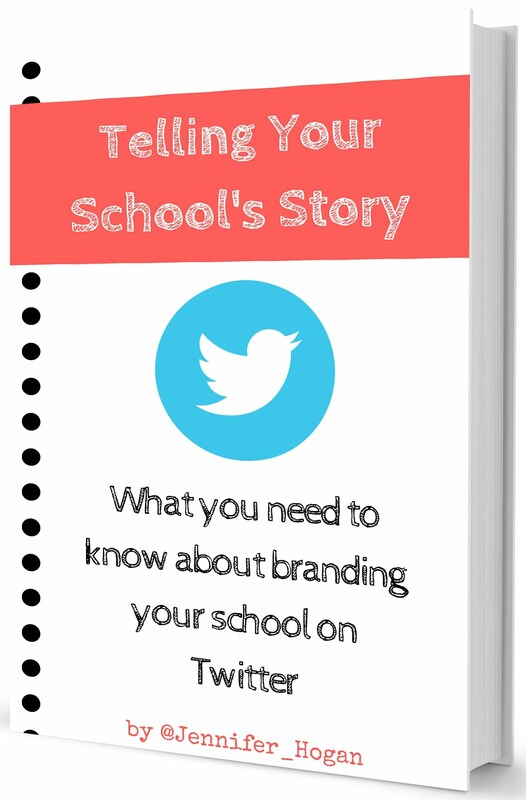 Year 4: Kickstart your school's social media use with a twitter party! Want to save these resources for later?